Since 1909, Washington Park has been one of Portland’s best gems. The International Rose Test Garden, Oregon Zoo, Hoyt Arboretum, Children’s Museum and more dazzling sites are all housed within the 160-acre property. Don’t miss a moment or an attraction with Washington Park’s free shuttle service. 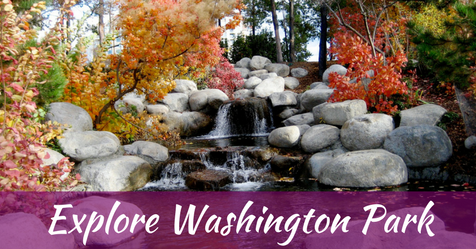 The Explore Washington Park shuttle gets you within walking distance of the major attractions in the park. Here’s where you can hop on and off. The shuttle runs on a continuous loop throughout the park, arriving at at designated stops every 15 minutes. October, weekends only 9:30 a.m. to 5:30 p.m.; every 15 minutes. Always know where to go on the shuttle website and app, which also tracks the location of the shuttle. Ready to explore? Plan your trip to Washington Park. See all the attractions, events and hours.